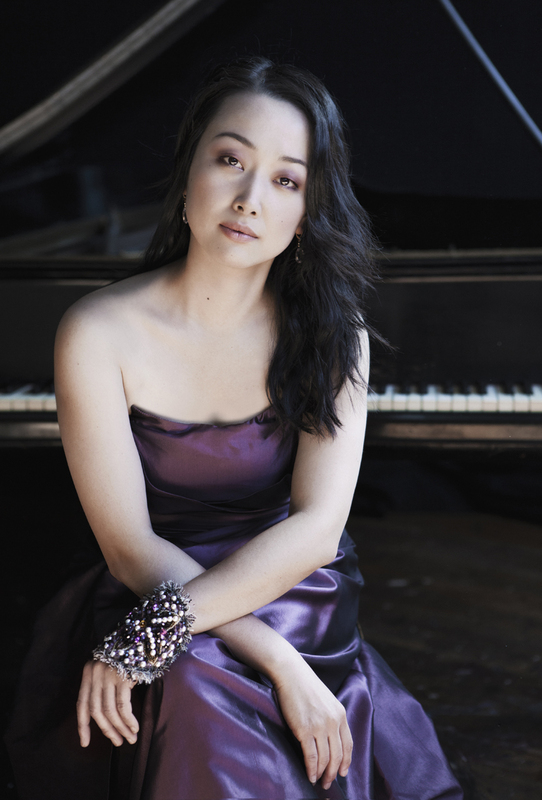 Pianist MIORI SUGIYAMA has been an active soloist and collaborative artist in the US and abroad. Recent highlights include solo debut recitals at Carnegie’s Weill Recital Hall, Merkin Concert Hall, and Bargemusic, as well as appearances at Lincoln Center, Galapagos Art Space, and on Aspen Public Radio. Last season, she made her New York debut as a collaborative pianist at Merkin Concert Hall, where she gave a recital with soprano, Tami Petty. Praised by the New York Times for her performance of the Charles Ives songs, she is a regular member of the Brooklyn Art Song Society with whom she has performed on projects such as the Hugo Wolf Project, In Context, Schubert: The Last Year, and marathon performance of the complete songs of Charles Ives. She is the founder of Half Moon Music Series, a chamber music and art song series dedicated to exploring works by female composers. The Half Moon Music Series will open this season with a special project, American Art Song and Female Poets. In 2015-2016, she can be heard at venues such as the National Opera Center, Bargemusic, Deutsches Haus at NYU, and the Old Stone House. In addition, she will be launching The Half Moon Project, a monthly recording project, which will release a concert work from the past and present monthly. She has held the position of accompanying coordinator and teaching assistant to Rita Sloan at the Aspen Music Festival and School. She has also served as a collaborative pianist at Westchester Summer Vocal Institute and for the vocal department at the Aaron Copland School of Music (CUNY-Queens College). Her teachers have included Morey Ritt, Paul Rutman, Julian Martin, and Rita Sloan. Dr. Sugiyama holds a Bachelor of Music in piano performance from Aaron Copland School of Music (Queens College), a Master of Music in piano performance from the Juilliard School, a Master of Education from Teachers College, Columbia University and received a Doctor of Musical Arts in collaborative piano from the University of Maryland-College Park. She currently resides in New York and Los Angeles with her husband, composer, Matthew Kajcienski, and their canine son, Ralphie. © Copyright Miori Sugiyama. Site by Nicholas Finch of NHF Digital.